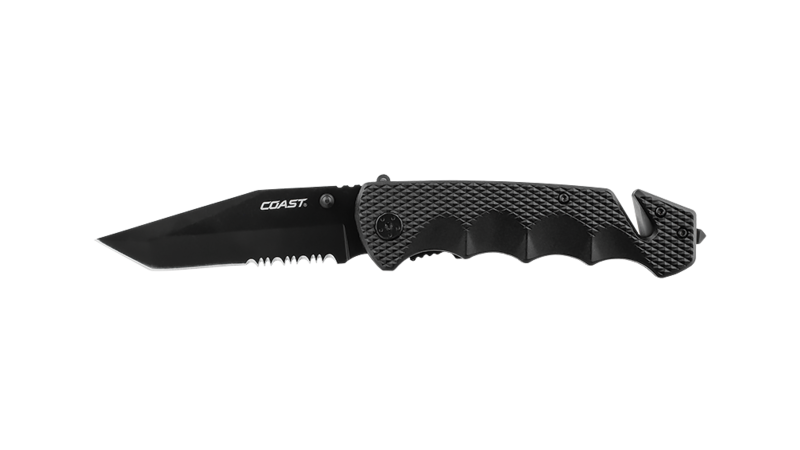 Thanks to the Coast PX1 Focusing LED Flashlight’s powerful Pure Beam Optic that can readily twist its focus, you can utilize two unique lighting modes: flood and spot. Flood mode gives you an ample, bright circle of light – measuring up to 11.5 feet in diameter, or 3.5 meters, at 6 feet in distance – with even amounts of brightness across and no troublesome dark spots. Its spot mode features a large viewing area that encircles its tightly focused spot beam. Use this mode’s transition halo that illuminates areas located far downrange of your line of sight, measuring up to 767 feet (234 meters). Get the illumination you need and deserve. 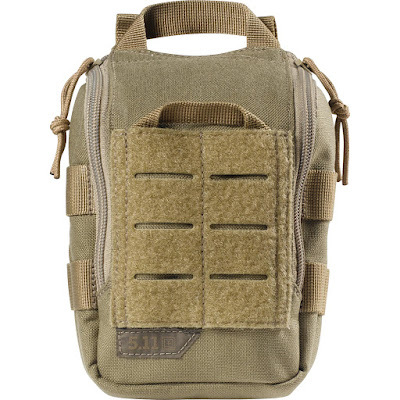 For more information and to get yours, be sure to visit GideonTactical.com. Whenever you’re around firearms, it goes without saying that safety is critically important. Anyone familiar with firearms-related injuries, engages in firearms training, or has experience in administering trauma care or first aid can fully appreciate the importance of an Individual First Aid Kit (IFAK), also known as a blowout kit. 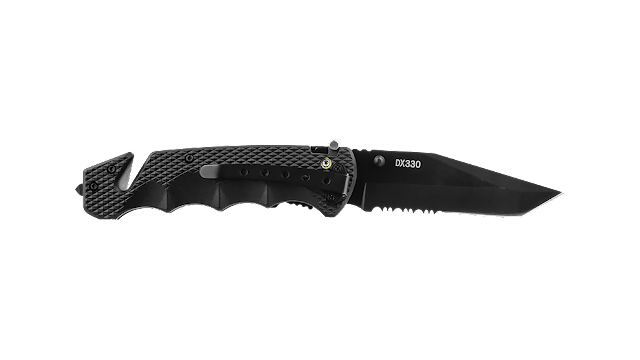 They’re used to stop any bleeding resulting from gunshot wounds immediately, thereby preventing exsanguination (bleeding to death). 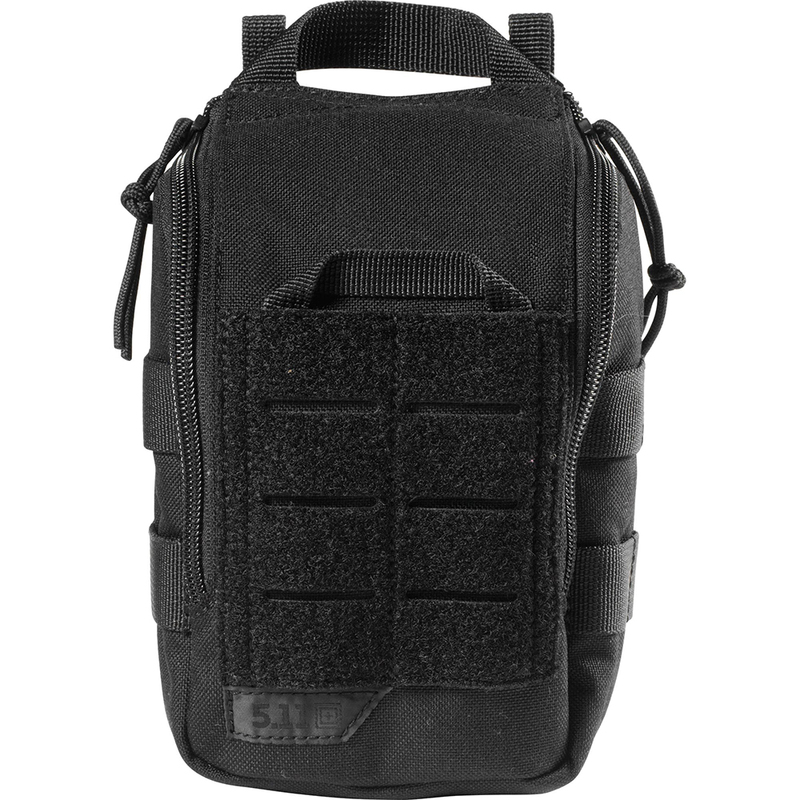 5.11 Tactical, innovators who specialize in creating purpose-built gear for the most demanding missions, has effectively addressed this critical need to have emergency-medical gear readily available at a moment’s notice with their new 5.11 Tactical UCR IFAK Pouch. Durable and compact, the all-weather, N1050D-nylon-constructed 5.11 Tactical UCR IFAK Pouch is specially designed to allow one to two blowout kits or any other medical essentials with an arm’s reach. The pouch has a drop-down, zippered compartment with a light-colored interior for easy equipment identification along with bungee tie-downs for augmented stability. 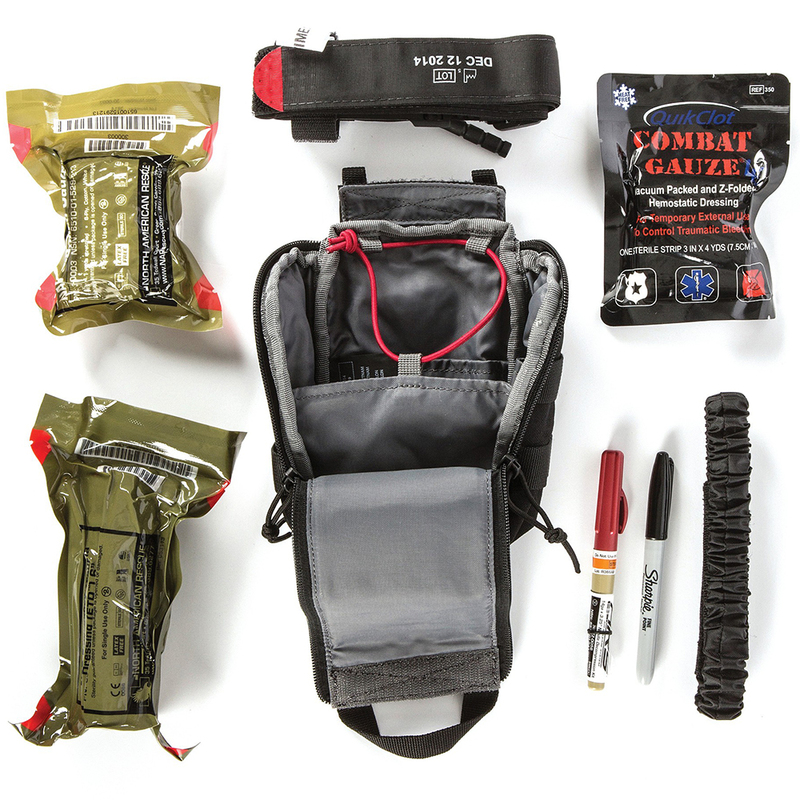 When you’re on the move, bungee tie-downs inside the main compartment securely restrain medical supplies. 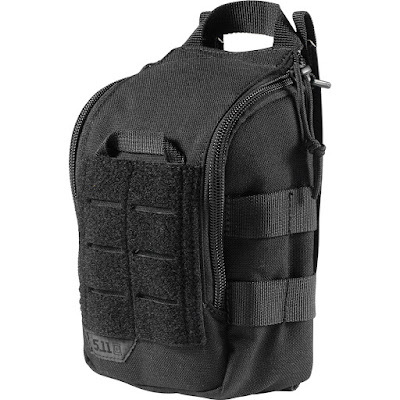 Additionally, the 5.11 Tactical UCR IFAK Pouch easily attaches to your vehicle’s headrest or any MOLLE or web platform, allowing for convenient-carrying capabilities and easy, efficient access to all vital, medical-related supplies when you need those most. Always have safety in mind, so be sure to check out our website for more information and to get yours. Need boots with improved flexibility and reduced break-in time? The Timberland PRO Valor 8-Inch Tactical Boots are exactly what you’re looking for. 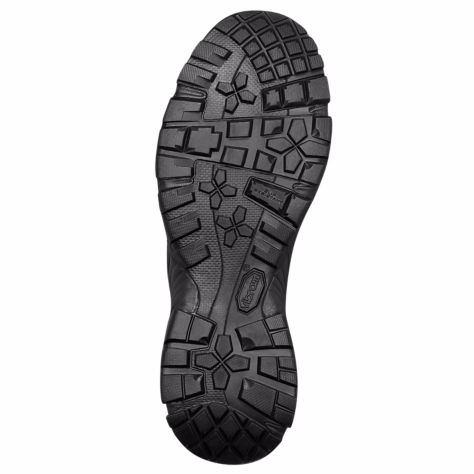 Featuring a durable Vibram® rubber outsole, which is heat-, oil-, slip-, and abrasion-resistant, the boots are equipped with Raptex microfiber uppers and 800-denier, ballistic-poly material. Their cement construction allows for the wearer to enjoy an ample range of movement, while textile-constructed upper panels won’t slow you down and maintain a constant toughness to ensure that your feet are protected at all times. 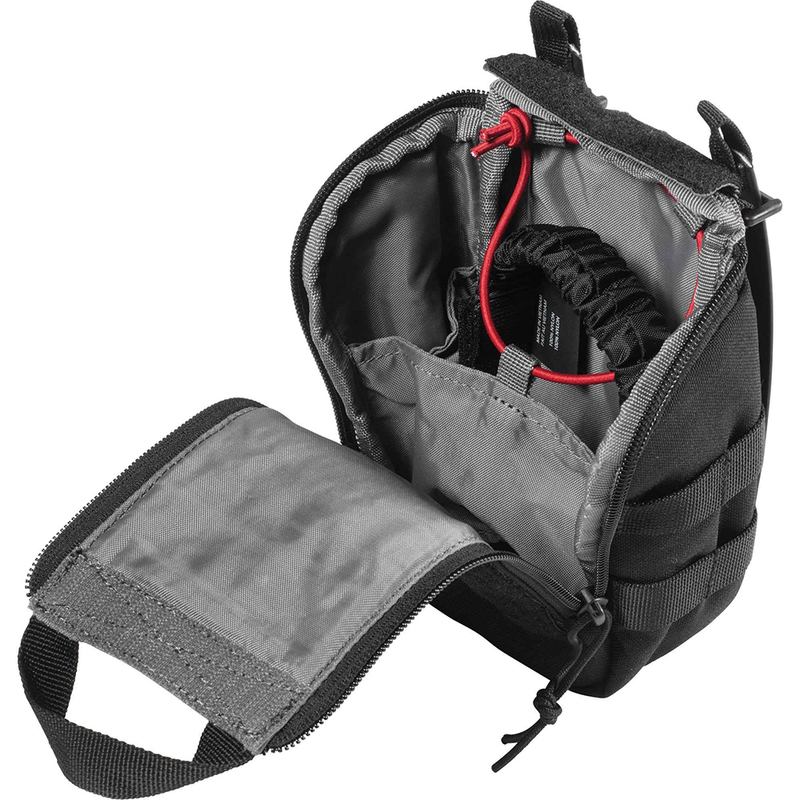 No need to worry about tripping metal detectors while wearing the boots; its unique hardware ensures that you won’t get hindered by them. In fact, it’s highly unlikely that anything will hinder you at all when wearing them, thanks to Timberland’s exclusive Anti-Fatigue Technology, which efficiently returns any impact-related shocks to key zones of the foot, thereby exacerbating your overall comfort. Energy redistribution to key pressure zones is easily achieved due to the Timberland PRO Valor 8-Inch Tactical Boots’ molded, inverted cones. It’s easy to keep the Timberland PRO Valor 8-Inch Tactical Boots looking as good as new thanks to their Scotchgard™ protectors by 3M, which durably resist a number of potentially porous substances you may encounter. Be assured that the boots can effectively deal with any potential electrical hazards, too, as they are compliant with the ASTM F2412-11, ASTM F2413-11, and ASTM F2892-11 electrical-hazard standards because of their secondary-underfoot protection capabilities, which provide excellent protection against incurring shock damage resulting from stepping on live electrical circuits, electrically energized conductors, parts, or apparatuses. 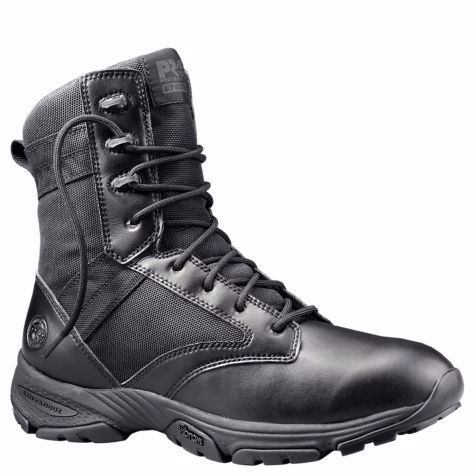 Put your best foot forward by visiting GideonTactical.com for more information on the Timberland PRO Valor 8-Inch Tactical Boots and to get yours today.